To say the Toshiba Portege R700 was well-received by the industry would apparently be an understatement; Toshiba brought a level of engineering acumen to bear on that machine heretofore unseen on their notebooks, and the success of the R700 and its descendants is now informing Toshiba's entire mobile business line. Toshiba's older mobile business notebooks under their Tecra line weren't bad, but stylistically were well behind the times. Made chiefly of ABS plastic, these notebooks unfortunately didn't look like much of an improvement over, say, an HP G-series notebook, and they inherited some of the same problems that plagued Toshiba's consumer notebooks. 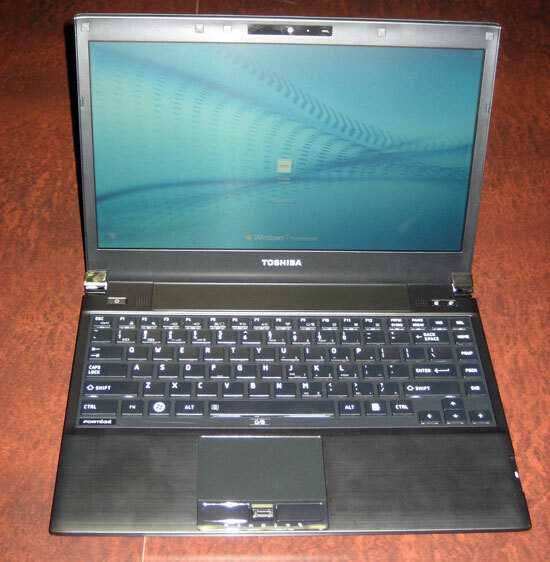 The older Tecras are big and bulky, but since the success of the R700, Toshiba has taken the hint and completely rearchitected their 14" and 15.6" Tecra notebooks while updating the Portege. The result is the R800 series, split between the 14" Tecra R840, 15.6" Tecra R850, and 13.3" Portege R830. 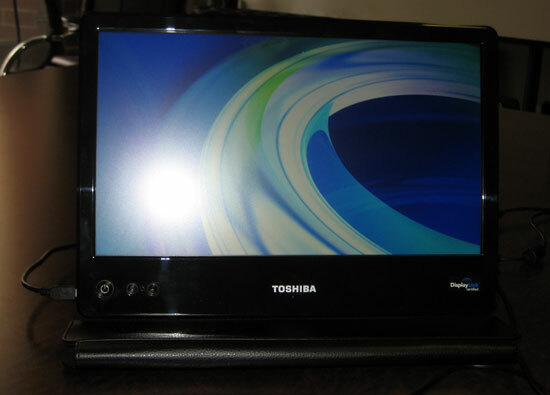 Since the 13.3" Portege is basically the flagbearer of Toshiba's new line, we'll start there first. The R830 is nearly identical to its predecessor, the R700, and as such has received the fewest changes. Updated to include Intel's new Sandy Bridge processors, the R830 remains thin and light and should actually run a touch cooler than its predecessor given the slightly better thermals of Intel's new generation of chips. Toshiba has also updated the R830 to include USB 3.0, and just like the R700 it can be configured all the way up to the top of the line dual-core mobile i7. A consumer level version is also available in the R835 and it starts at $888.99. Moving to that notebook means giving up the ExpressCard port, docking capabilities, and moving down to a one-year warranty, but we suspect that will seem a reasonable trade-off for most consumers. MSRP for the Portege R830 is from $1,049 to $1,649. The Tecra R840 and R850 on the other hand have seen massive changes. Gone are the big and bulky older chassis, replaced by a much sleeker, thinner build strongly reminiscent of the R700 and R830. Toshiba uses fiberglass-reinforced casing with a honeycomb rib structure in the R840 and R850 that substantially improves durability. In the case of the R840, Toshiba also uses the unique Airflow Cooling Technology found in the Portege. Developed by Intel and then modified by Toshiba, the notebook features what amounts to a wind tunnel with an intake and exhaust within the body, allowing for air to pass quickly and efficiently through the system while cooling the hotter components. Given the larger form factor of the R850, Toshiba opted to use more traditional cooling in that system. Both the R840 and R850 offer the new Sandy Bridge processors along with AMD Radeon HD 6470M graphics. 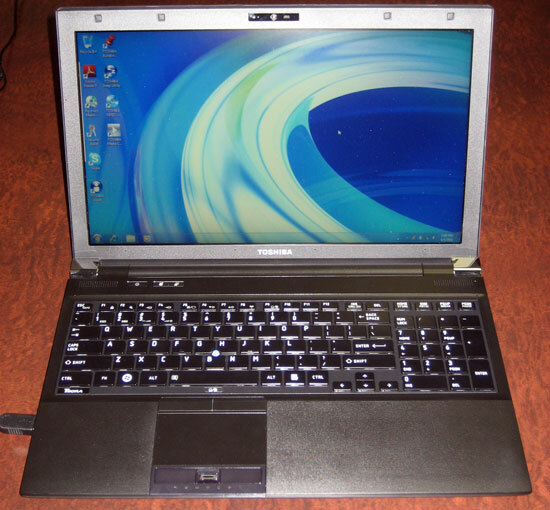 The graphics hardware seems mild, but it allows users to plug in up to two additional screens and use these notebooks as proper mobile workstations. The R840 starts with an MSRP of $899 while the R850 starts with an MSRP of just $879. I had the opportunity to see these new notebooks when I met with Toshiba representatives in person and they're a major step forward from older designs. These are sleek, clean, and smart designs. My chief concern is that Toshiba is releasing these notebooks into a market where they have to compete with the new designs by HP which are, frankly, stunning in person. My other complaint is a milder one, but nonetheless relevant: while the chiclet keyboard Toshiba has moved to with these new notebooks is a step in the right direction, the smooth, slightly-glossy finish on the keys isn't the best or most comfortable to use. It's true that traditional plastics may be more liable to wear out over time, but they're more comfortable in the interim. Still, competing workstation-class notebooks from Dell or HP are generally more expensive, and Toshiba is offering a great value in these notebooks. If anything, we just wish some of these innovations would trickle down into the consumer space. Last but not least, I was able to check out Toshiba's new Mobile Monitor. This is a 14", 1366x768 screen powered entirely over USB using DisplayLink technology. I'm not a tremendous fan of DisplayLink, but I can definitely see using this screen in a pinch. Other mobile, USB-powered screens have tended to simply be too small, but at 14-inches the Mobile Monitor enters the realm of usability. It is built into a classy storage case that folds out to use as a stand with smart cable routing around the back. It's the kind of thing that must be experienced in person so you can grasp just how useful a device like this might be; if I travelled more it's fair to say I'd invest in one for myself. At $199 the MSRP would seem unreasonable for a garden variety 14" monitor, but given the portability and design the price seems sound. You're right about the shorter height. I've owned the R835 for a few days now, I was worried about the keyboard at first, but find I can type at full speed just fine (its not cramped like netbook keyboards). The glossy keys do feel a bit different if I stop to think about it. The lack of volume/media keys may annoy some (laptop uses FN+# key combos for volume).